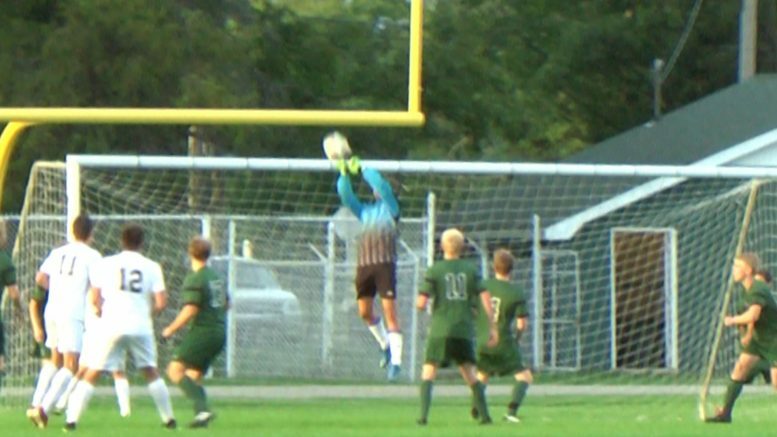 Alpena — The Wildcat’s boys soccer team is on a roll. The boys in green are (6-3-1) for the season; the same record they had at this time last year. The major difference is the number of shutout victories. First-year varsity goalie Wenton Harrison has recorded his 6th shutout for the Wildcats after tying with the Gaylord Blue Devils 0-0 in a Big North Conference battle. The junior attributes the team’s success to their talented defensive back line. The Wildcats have a young team that has proven they can compete.